It´s on again! High up on Hintertux Glacier, the winter has already arrived and the season is in full swing. Since September 9,th the Betterpark Hintertux has been open and Mother Hulda has reliably delivered the first loads of fresh snow to the Austrian Alps. Hardly surprising, that also the Zillertal Välley Rälley hosted by Ride Snowboards is all set for take-off again! Looks like it´s time to reshuffle the pack and with the first of four tourstops, the popular Snowboard Tour will be starting into its 4th round on October 15th and 16th in Tux-Finkenberg. On the Coaching Day, teams from all over Europe will be gathering at the Betterpark Hintertux to celebrate and share the stoke of snowboarding. All those, who are not bringing their own coaches, can easily sign up for the freebie Freestyle Coaching Sessions with the Ästhetiker crew, all riders, age groups and levels welcome! Ride Snowboards will not only offer the latest snowboards and bindings for free demo/testing, but also bring the “Limbo RIDE” for everyone to the Zillertal. A funny session, where you get to try the limbo dance while riding your snowboard and it´s the bar that brings up laughter and spice! The most agile snowboarders will be rewarded with prizes by Ride Snowboards, of course. The Contest Day will not only bring an open Snowboard Competition to Hintertux, but also start a new chase for the first valuable points in the Välley Rälley Overall Ranking. All competitors will also be gaining points in the World Snowboard Tour Ranking. As every year, the Välley Rälley counts as a part of the Austria Cups by the N.ASA, New Austrian Snowboard Association. All the stage winners will be celebrated as kings and queens in the tried-and-tested Ästhetiker way in front of a great audience and of course, they will take home lots of medals, glory, honor and prizes from Ride Snowboards, Red Bull and Greenroom Mayrhofen. If you haven´t found the right accommodation, yet, check www.tux.at! “Es ist angerichtet!” Am Hintertuxer Gletscher ist der Winter schon wieder im vollen Gange! Seit dem 9. September ist der Betterpark Hintertux wieder geöffnet und auch Frau Holle hat schon zuverlässig die eine oder andere Ladung Neuschnee abgeliefert! Kein Wunder, dass auch die Zillertal Välley Rälley hosted by Ride Snowboards jetzt schon in den Startlöchern steht. Die Karten werden neu gemischt und mit dem ersten von vier Tourstops startet die beliebte Snowboard Tour am 15. und 16. Oktober in Tux-Finkenberg in die neue Saison. Am Coaching Tag treffen sich sämtliche Nachwuchsteams aus ganz Europa im Betterpark Hintertux, um den Spaß am gemeinsamen Snowboarden zu zelebrieren und neue Tricks zu proben. Für alle, die ohne Coach unterwegs sind und gerne ihre Freestyle Skills verbessern möchten, bieten die Ästhetiker kostenlose Freestyle Coachings für alle Könnerstufen an. Neben kostenlosen Snowboard Test bringt Ride Snowboards dieses Jahr erstmals mit dem Limbo RIDE eine lustige Session für alle in den Betterpark Hintertux. Dabei ist der Spaß schon vorprogrammiert, denn es geht darum, wie beim Limbo Dance unter einer Stange herzufahren. Auf die beweglichsten Snowboarder warten natürlich jede Menge Preise von Ride Snowboards. Am Contest Tag geht es dann beim offenen Snowboard Contest nicht nur um die ersten Punkte im Välley Rälley Gesamt Tour Ranking, sondern auch um Punkte im World Snowboard Tour Ranking. Die Välley Rälley ist wie immer auch ein Teil der von der N.ASA (New Austrian Snowboard Association) organisierten Austria Cups. Die Tagessieger werden in gewohnter Ästhetiker Manier vor großer Runde wie Könige und Königinnen gefeiert und mit Medaillen, Ruhm, Ehre und Preisen von Ride Snowboards, Red Bull und Greenroom Mayrhofen beschenkt. Noch keine Unterkunft gefunden? Der Tourismusverband Tux-Finkenberg weiss, wo sich Snowboarder wohlfühlen www.tux.at! The best snowparks of the Zillertal valley are set to host four tour stops of exciting snowboard competitions with free snowboard demo-testing and freebie-freestyle coaching sessions for everyone! At each and every tour stop of the season there will be many happy winners earning their praise and fame. When it all adds up in the end and comes time to crown the royal family, glory will be celebrated. These are the ingredients of the Zillertal Välley Rälley hosted by Ride Snowboards. In 2016/2017, the popular snowboard amateur series by the Ästhetiker will be kicking off into it´s fourth round with new highlights. It´s happening again! On October 15th and 16th 2016, the Zillertal Välley Rälley hosted by Ride Snowboards will be starting off the new season on Hintertux Glacier. Along with an Open Snowboard Contest for everyone, all four tour stops will be focusing on the fun of shredding together and stoking new up-and-coming talent. On the Coaching Days, experienced former-pros from the Ästhetiker crew will be cruising the park with motivation to help all levels of freestyle enthusiasts. Photographers and filmers will have their back to cover the best moments and tricks. At all tour stops Ride Snowboards will not only be providing the latest range of boards and bindings for free demo/testing, they will also be hosting a “Limbo RIDE” fun session for everyone. Spots are limited for contest and coaching. Get on it. Online registration will open on Saturday the 17th of September 2016 at www.valleyralley.at. 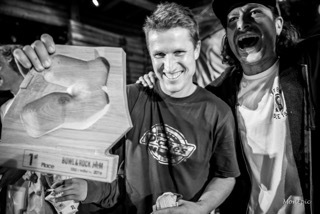 The podium winners of all contests can look forward to fame and glory with medals and prizes from Ride Snowboards, Red Bull and Greenroom Mayrhofen. On top of all this, all riders gather valuable points in the Välley Rälley Overall tour ranking. The Overall tour winners will be crowned, celebrated and welcomed in to Royal Zillertal Välley Rälley Family 2017 at the last tour stop in Mayrhofen. Every contest attendance will earn points in the World Snowboard Tour Ranking, as well. The snowboard tour will be a part of the N.ASA Austriacups schedule again. For all those who don’t have the patience to wait until the first tour stop kicks off, Betterpark Hintertux has already opened the doors on September 1st 2016. The shapers are working hard to get the entire XXL setup ready for the Park Opening Hintertux. So all of you super-motivated riders can already warm up the trick list for another exciting Välley Rälley season! See you soon! 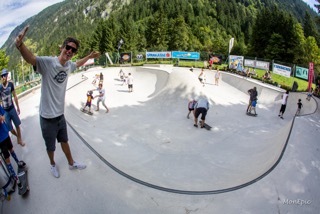 Mayrhofen, Austria – Saturday, September 3rd 2016 – Aesthetikers’ sixth time running annual Bowl & Rock Jam session was a massive success taking the event to an unprecedented level. The day started off with a kids jam session, with almost 20 kids in attendance. Wolle Nyvelt, Oli Gordon, Steve Gruber and other dedicated riders were there to offer their advice and provide the kids with invaluable coaching. The commitment was evident with the determination of the kids in the bowl, but it was outmatched by the grins on the faces of the coaches as they skated alongside the groms. Kids provide happiness, that’s for sure, and these future rippers and coaches had the time of their lives. “It’s awesome for these kids who grow up doing this and have the opportunity to learn these skills, and to utilize them in their future” Brian Wolfe, a proud father who was in amongst the coaches and kids teaching his daughter how to push and pump. A tombola raffle stand was new to the jam this year with the Aesthetikers once again, thinking about and doing things for others by raising money for the kids’ workshops. Providing the future generations with the skills, experience and opportunity to be involved and to live amongst the boardsport lifestyle. After the award ceremony at the Waldfestplatz, the Ästhetiker Bowl & Rock Jam continued with its musical component. The BlackBones were the opening act of the rock night, on a stage where big names such as Prodigy or Kasabian have performed in the past. The guys from the Innsbruck area, now living in Vienna, got the crowd fired up immediately with their psychedelic rock. The diverse show featuring technical highlights certainly drew several new fans to the band centered around the lead singer Moritz Kristmann. We expect to see more of the BlackBones in the future! This was followed by punk rock at its best: The Mugwumps, well-established in the Punk scene since 2002, showed how powerful good Punk is and always will be. No pussyfooting around: one-two-three, one smashing Rock’n’Roll song after the other was played, and the audience honored it with some bold dance interludes. Last but not least, Sempre Caoz from Zillertal hit the stage as headliner. There aren’t many bands in Tyrol that throw out such energy and life in live performances as the local heros from Zillertal. 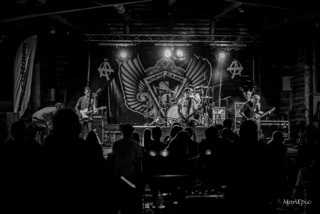 Their shows are like a volcanic eruption of Rock’n’Roll, emitting lava composed of Blues Rock, with Alternative and Punk influences. The music is timeless and at the same time contemporary, and one wonders why this band is not better known beyond the valley and province borders. In any case, the Rock Night at the Waldfestplatz was an incredibly successful event organized by the traditional Ästhetiker Bowl Jams. Let’s hope that this event will take place again next year. 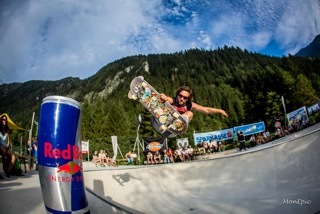 Bowl n’ Rock Jam 2016 Sponsors include: Dickies Life, Scotland Yard Pub, Mountain Sports Zillertal, Red Bull, Sportclinic Zillertal, Mayrhofen-Hippach im Zillertal, GreenRoom.at, Sparkasse Schwaz AG, Simpl Life Company, Stock Resort, Vans, Billabong, Dakine, MUCKEFUCK skateboards, K2 Snowboarding, Motion Sports, Eisenbacher, Sporer, Zillertal Bier and Zillertal Sennerei. Ästhetiker events are always a special happening for me because no other skate event gives you this layed back atmosphere and at the same time doesn´t lack of professionality. Maybe its the fresh high mountain air in the valley, the fresh water they have in their one and only "Zillertal Bier" or just the super layed back and friendly people.....I don´t know? I guess its all together, that gives you the special feeling and hypes me personally every year to come back and rock the bowl till i cant walk anymore! The "Aftershow Rock party" with dope local live bands was a great add on and should be retaining on the future events! It was real FUN and brings people from all kind of flavors together! Big shout out to all the long time Ä-crew members still making all this happening, all these years!!! See ya all next year!!!! Vom 29.-31. Juli 2016 sind die Ästhtiker im Rahmen des Lake of Charity in Saalbach/Hinterglemm vor Ort. 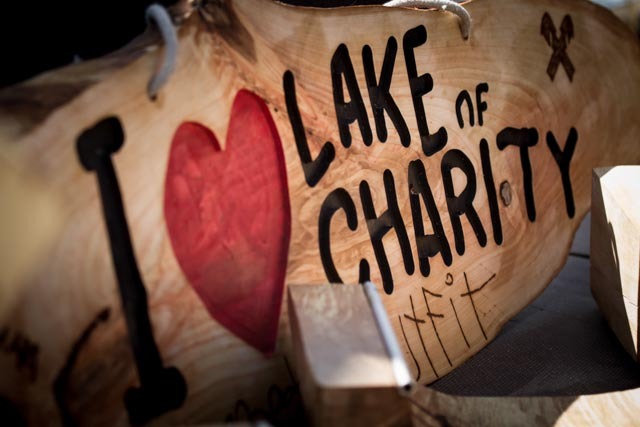 Dort werden wir mit dem Lake of Skate unsere Freunde und ihre Charity Veranstaltung unterstützen! Kommt vorbei zum Skaten, Wakeboarden, Blobbing, Wasserschanze, Slackline etc. und lasst uns für einen guten Anlass feiern! for the third time in a row, the Ästhetiker crew took their infamous Zillertal Välley Rälley hosted by Ride to the best snowparks of the Zillertal again in 2015/2016. The unique combination of freebie snowboard pro coaching sessions with the former Ästhetiker pros Steve Gruber, Friedl Kolar, Chris Kroell and Klaus Hofmeister, free hardware demo testing by Ride Snowboards and an open Snowboard slopestyle contest for all age groups attracted riders from all over Europe to travel to the Zillertal at least once a month. The entire action kicked off in December 2015 at the Betterpark Hochzillertal. Motivated shredders met up in Gerlos, Zillertal Arena for the second event in January. 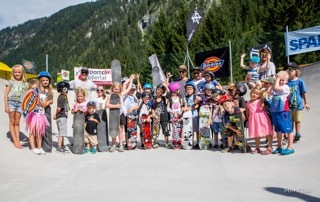 The third tourstop took place at the Vans Penken Park in Mayrhofen, where also the actual Super Grom Tour Tyrol winners 2016 were crowned. This year´s Välley Rälley finals went down at Hintertux Glacier in early April. Jan Rovensky and Adela Kreisingerova further earned themselves a wildcard for the N.ASA World Rookie Finals. Congratulations to all the winners! A special shout out goes to all participants and fans and last but not least to the partners, who made this tour come alive: Zillertal.at, Ride Snowboards, Vans, Red Bull, Hochzillertal-Kaltenbach, Zillertal Arena, Mayrhofner Bergbahnen, Hintertuxer Gletscher, N.ASA, Black Eye Lens, Greenroom Mayrhofen, Dana Beanies and the tourism associations of all four destinations! The tour edit by Andreas „Mone“ Monsberger points out this year´s Zillertal Välley Rälley hightlights and emotions: https://vimeo.com/164240449. The Ästhetiker crew give thanks for all the support, already looking forward to the fourth edition in 201672017! Zum dritten Mal in Folge tourte die Zillertal Välley Rälley hosted by Ride wieder quer durchs Zillertal. Die einzigartige Kombination aus kostenlosen Snowboard Pro Coaching Sessions mit den ehemaligen Ästhetiker Snowboard Pros Steve Gruber, Friedl Kolar, Chris Kröll und Klaus Hofmeister, gratis Ride Snowboards Materialtest und einem offenen Snowboard Slopestyle Contest für sämtliche Altersklassen, lockte auch diesen Winter wieder Snowboarder aus ganz Europa ins Zillertal. 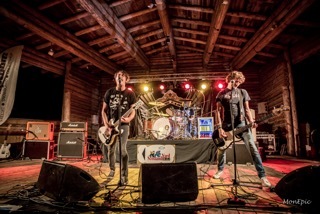 Los ging´s im Dezember 2015 im Betterpark Hochzillertal. Im Januar pilgerten motivierte Snowboarder zum zweiten Tourstop nach Gerlos in die Zillertal Arena. 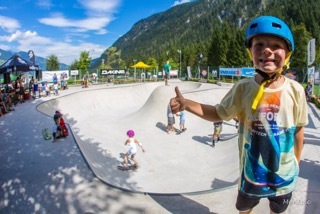 Weiter ging es mit dem dritten Tourstop und Finale der Super Grom Tour Tyrol 2016 im Vans Penken Park in Mayrhofen. Das diesjährige Finale wurde schließlich im April am Hintertuxer Gletscher ausgetragen. Jan Rovensky und Adela Kreisingerova sicherten sich zusätzlich mit ihrem Overall Sieg jeweils eine Wild Card für die von der N.ASA organisierten World Rookie Finals. Ein besonderer Dank gilt neben den Teilnehmern und Fans natürlich auch den Partnern der Tour: Zillertal.at, Ride Snowboards, Vans, Red Bull, Hochzillertal-Kaltenbach, Zillertal Arena, Mayrhofner Bergbahnen, Hintertuxer Gletscher, N.ASA, Black Eye Lens, Greenroom Mayrhofen, Dana Beanies sowie den jeweiligen Tourismusverbänden der einzelnen Tourstops!